Automotive Finance and Leasing for Consumers in Europe delivers comprehensive and in-depth research covering the EUR 222.3 billion market for private car finance in 20 countries in Europe, namely: Austria, Belgium, Czech Republic, Denmark, France, Germany, Ireland, Italy, Norway, Netherlands, Poland, Portugal, Romania, Russia, Slovakia, Spain, Sweden, Switzerland, Turkey and the UK. Based on a survey of 1,155 dealers in these countries and an investigation typically covering between 30 and 50 automotive brands in each territory, the study delivers unique insights into the market for finance and leasing for new and used passenger cars bought by consumers, with fully comparable and standardised data describing market values and volumes. Moreover, Finaccord’s Automotive Financial Services in Europe Model splits this data for each country between point-of-sale finance through dealers and finance provided directly to consumers by lenders. In addition to this comprehensive market data, the survey results are also used to measure the propensity of dealers to work with non-tied finance and leasing partners as well as tied entities, to identify the leading non-tied providers at the point of sale and to understand relationships between manufacturers or importers and external finance and leasing companies for branded or endorsed consumer finance propositions. to identify the foremost competitors in each country; how strong are internationally-diversified non-captive providers such as BNP Paribas, Crédit Agricole, Santander and Société Générale in comparison to leading captive finance competitors, the largest of which is Volkswagen Financial Services? to evaluate the potential for establishing partnerships with manufacturers or importers for branded or endorsed consumer finance and leasing propositions across 20 countries in Europe. 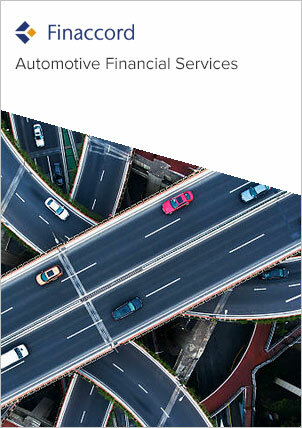 Indeed, for important automotive groups, such as BMW, Daimler, Fiat Chrysler, Ford, GM, Honda, Hyundai, PSA, Renault Nissan, Suzuki, Toyota and VW, the study delivers comprehensive information concerning their current programs and partners for consumer finance and leasing in each of the 20 countries covered.